Around 8 km from Chennai Central railway station, Star City - Bazullah Road offers fully-equipped kitchen, internet, banquet halls and medical aid. Located at T. Nagar - the shopping and business hub of Chennai, Star City - Bazullah Road is a serviced apartment offering 3 star facilities to travellers. It offers 32 home-style serviced apartments that are classified into Deluxe Studio, Luxury Apartment and Deluxe Two Bed categories. All rooms feature modern amenities, including the attached kitchen that is equipped with refrigerator, mini bar, coffee maker and toaster. Other in-room amenities include internet, telephone, hair dryer, iron and ironing board and set top box. The serviced apartment has dedicated venues for hosting meetings, weddings, conferences and other events. Galaxy and Kosmic are the two well-appointed banquet halls on-site. At Mainland China - the in-house award-winning restaurant, guests can savour mouth-watering Indian and Chinese food in a cosy ambience. 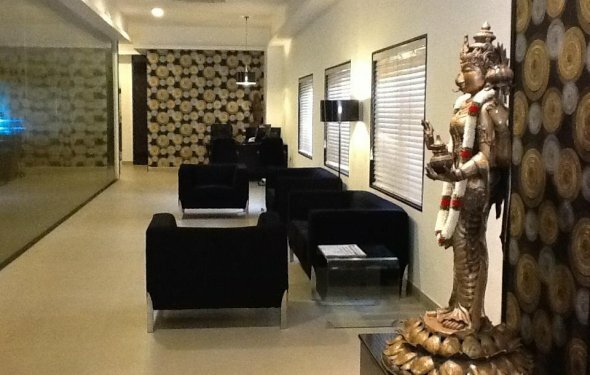 The hotel is located quite close to the Marina Beach, which is one of the most popular tourist attractions of the city. G. R. Thanga Maligai, popularly known as GRT, is a jewellery firm based in the city of Chennai, India. The firm is considered to be the no. 1 company of jewellers in Chennai. The firm also owns the star hotel GRT Grand Days in Chennai.